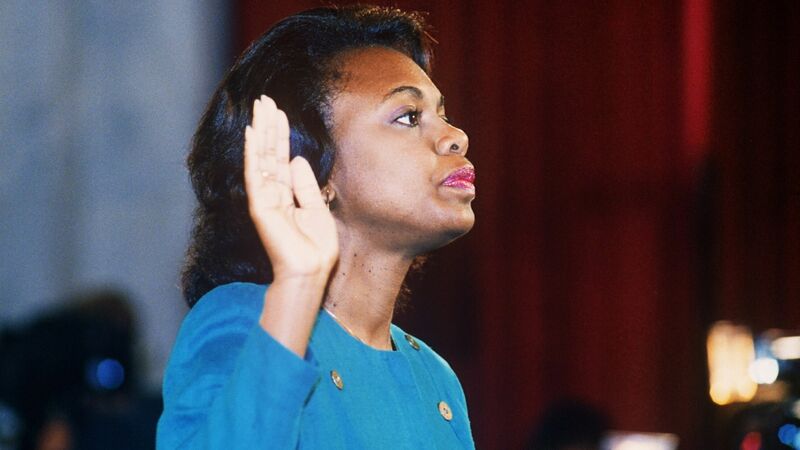 Anita Hill has a few "ground rules" for senators in the upcoming hearing on Christine Blasey Ford's claims that Supreme Court nominee Brett Kavanaugh sexually assaulted her when they were in high school: "''[N]ot getting it' isn’t an option for our elected representatives. In 2018, our senators must get it right," Hill writes in an op-ed published in the New York Times. Why it matters: Hill writes from her own experience in 1991, when she testified in front of the Senate with accusations of sexual misconduct on the part of then-Supreme Court nominee Clarence Thomas. She was aggressively questioned about her story, and Justice Thomas was ultimately confirmed. "There is no way to redo 1991, but there are ways to do better," Hill's op-ed begins. Her advice: "Refrain from pitting the public interest in confronting sexual harassment against the need for a fair confirmation hearing." "Select a neutral investigative body with experience in sexual misconduct." "Do not rush these hearings." Hill said the decision to hold the hearing on Monday was "discouraging" and does not give investigators enough time to thoroughly look into the allegations. "Finally, refer to Christine Blasey Ford by her name." Joe Biden, who presided over Anita Hill's hearing, told Teen Vogue Magazine late last year that he owed Hill an apology for the way the hearing went. He said that his "one regret is that I wasn’t able to tone down the attacks on her by some of my Republican friends."